For over 55 years, Associated has provided material handling equipment and integrated supply chain solutions, including design and engineering support, for distribution and fulfillment centers. With over 450 employees and nine locations throughout the Midwest, Associated was looking for an upgraded training program that could meet the needs of their remote working technicians. 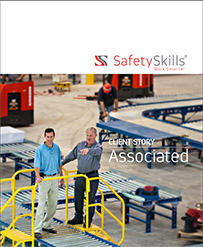 Before partnering with SafetySkills, Associated’s safety training program consisted of instructor-led courses held at their regional offices once a quarter. “With a large workforce, having employees travel to a central location for training is not always practical or feasible,” said John Davlantes, Vice President Human Resources, Associated Integrated Supply Chain Solutions. Associated needed a reliable safety training system that could be accessed in the field on a variety of devices. 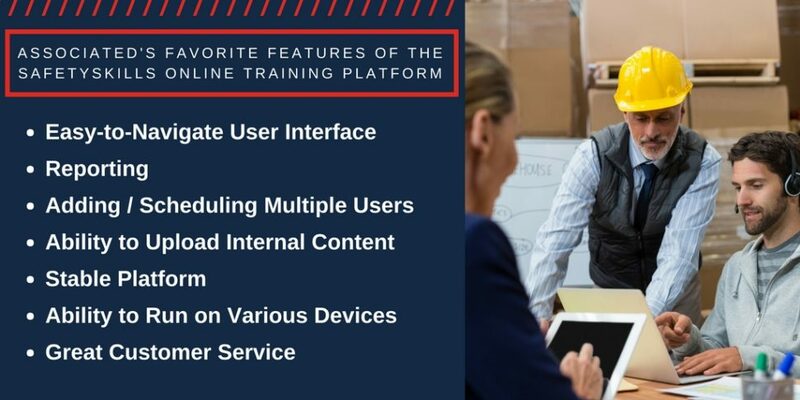 During their search for an updated safety training program, Associated researched and tested several different platforms from development providers in the training industry. They needed an in-depth, turnkey online learning management system (LMS) that was user-and mobile-friendly, and provided comprehensive safety training courses tailored to their needs, along with other HR and compliance topics. “Many of the programs we reviewed only provided the LMS platform, but no content,” Davlantes said. Associated found that with many providers, content was an add-on at additional cost. Unlike competitors, SafetySkills offers access to over 500 courses with the purchase of an LMS. Ensuring that the program ran properly on all of Associated’s devices was another critical concern. Associated thoroughly tested several programs with their most remote technicians on their oldest tablets and found the SafetySkills platform to be the most successful. SafetySkills employs an in-house team of instructional system designers and software engineers to deliver advanced online training to Associated’s employees through their laptops, tablets or smartphones, in every office or field location. 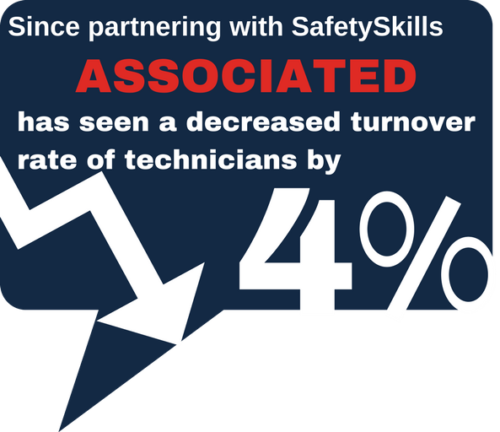 Ultimately, after several weeks of research and testing, Associated made the decision to partner with SafetySkills. SafetySkills also provides a varied selection of general HR training like Sexual Harassment and Discrimination for Employees, which is required for all employees in the organization. Another decision-making factor for Associated was the customer service offered during their trial period. “The customer service was fantastic,” Davlantes said. During Associated’s trial with SafetySkills, an issue arose where their internally developed SCORM-compliant programs would not sync with the LMS. The SafetySkills tech support team reached out to Associated to address the issue, and worked closely with the Associated staff until a solution was found. Today, Associated assigns every newly-hired technician around 30 courses for completion within their first 30 days of employment. Existing employees are scheduled to complete four refresher-courses a month, or about 15 minutes of training per week. Along with improved retention, there has been a downward trend of lost employee work days compared to 2016. “We are absolutely more efficient and effective with our safety training, and training in general,” Davlantes said. The SafetySkills LMS has allowed Associated to provide training to a remote workforce – on their device and on their own schedule. Having the ability to start and stop in the middle of courses, or work through a course at the learner’s own pace has proved successful for Associated. The ability to download PDF documents and converted PowerPoint files has also made Associated’s training process more efficient. By understanding Associated’s needs for an updated and more efficient program, SafetySkills was able to provide online safety training to every employee in every location. By partnering with SafetySkills, Associated can ensure they are compliant across all boards, their employees can competently perform defined, concrete skills related to essential EHS performance objectives, and rely on accurate tracking and reporting methods – empowering EHS managers and cushioning bottom lines throughout the organization.